The last financial year has been a wonderful adventure of visual merchandising, theming, event styling, charity events, VIP nights, Christmas and so much more! We’ve released the first issue of our magazine, The Schmooze, opened up another interactive children play area and styled the 2018 Gold Coast Commonwealth Games Athletes’ Village… and that was just in the last 3 months! One of the highlights from this past year was taking on the task of styling the 2018 Commonwealth Games Athletes’ Village. We inspired and dazzled guests with coloured lanterns and festoon lights to enhance the venue while themed props such as seagulls and beach balls reflected the surrounding landscape. We styled a dinner under the stars in Fish Lane and stepped into the past as we themed the iconic Les Bubbles for a 60th party. Hot off the tails of Game of Thrones, our most recent gala ball showcased a Fire & Ice theme to 630 guests. Main styling elements included a fire and ice inspired chandelier dripping from the ceiling, 6m tall inflatable flames, ice filled vases and floating candles. From rainforest play spaces to shopping centre VM pods and countless Christmas trees with twinkling lights, we hit the ground running this year. Chinese New Year saw multitudes of red lanterns swarm the office as they made their way into chandelier creations. VM+ didn’t miss out on the Commonwealth Games excitement as they took the task to hang another giant chandelier with coloured disks to celebrate the event. Children’s play spaces became their forte – check out some of the play areas here. Christmas is a year round event in VM+ and The Prop house and Xmas 2018 saw giant disco balls twinkle in the city malls and hundreds of festive trees popped up in shopping centres and foyers from the CBD to the Gold Coast. As usual, VM pods were designed and installed to enhance customer experiences and our visual merchandising training course saw new faces pass through the doors and learn the art of VM. We’ve combined all things The Prop House, VM+ and Christmas Decorations Brisbane into one place! Introducing The Schmooze: One House. Three Sisters. A place where styling, creativity and imagination come together to be a visual reflection of who we are and what we do here at The Prop House. This year, our team came together to design a magazine that readers could fall into and experience a snippet of the magic here at The Prop House. Time to grab your coffee, find a comfy seat and have a read of our online copy. We believe it’s important to give back here at The Prop House. Each year we take time to focus in on some foundations that we’re able to help in our own special way. Some include; Act for Kids, Breast Cancer Network AU (BCNA), Hear & Say, Starlight Children’s Foundation, Children’s Hospital Foundation, & Foodbank. Whether it is by theming a fundraising event or we’re donating Christmas trees, we hope each year we can give back bigger and better than ever. We love it when our very important people come and visit us here in The Prop House. Prosecco in one hand, canapes in the other, it’s a perfect place to mingle and meet – and we did lots of just that this year! Opening up The Prop House Showroom is one of our favourite things to do, from our VIP nights, to Women Chiefs of Enterprises International (WEIC), to the annual Brains Trust event, lots happened in our own walls this year plus the BSB Showcase. Our prop stylist, Sydney featured on Totally Wild and we held our annual May Madness Garage Sale! That concludes our End of Financial Year Flashback for 2018! In-between all the captured moments is our dedicated #girlboss Jano Dawes and a dream team of passionate, fun loving, hard-working, crazy artisans. We look forward to another fantastic year and can’t wait to see what is created in The Prop House this year! Interested in working with us? Contact VM+ at info@vmplus.com.au & TPH at props@theprophouse.com.au or give us a ring on (07) 3555 8660. If you’re in the area, we’d love for you to pop in! Visit our Showroom at 306 Vulture Street, Woolloongabba. Liked what you’ve seen here? Check out The Prop House website for a glimpse of our hire items available for every occasion. 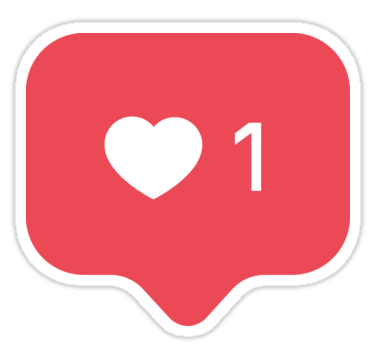 Love a good scroll through insta?